During the past few months, I have been quite inactive. It was for a good reason, though. My team and I have been working on an ambitious project that helps Kinect developers build apps faster. I would like to introduce Vitruvius. During the past few years, Kinect developers from all over the world have been creating outstanding Kinect apps, utilizing the power of Kinect SDK 2, Computer Vision, complex Mathematics, and Linear Algebra. Kinect development is hard and demanding. Through my blog posts (and your 600 comments), I have been trying to simplify the process and make it easier for students, researchers and engineers. Kinect development should be fun. So, after three years of professional experience and a lot of successful commercial projects, I developed a framework that accomplishes hard tasks using a few lines of code. Please welcome Vitruvius. Vitruvius is a set of tools, utilities, controls and extensions that simplify Kinect development. Update: Vitruvius is featured in the Official Microsoft Kinect Blog! Vitruvius is already used by big companies and institutions out there. I was proud to learn that NASA, XEROX and Michigan State University are actively using Vitruvius into their internal research projects. Vitruvius is bundled with 1 female and 1 male 3D model with 10 textures each. Load the FBX models, choose the skin, hair and clothes of your choice and go. Moreover, the samples include a virtual fitting room demo with 3 additional cloth models (a long-sleeve shirt, a pair of pants and a t-shirt) with 3 textures each. You are free to use them in your personal or commercial projects. The 3D models are customizable, so you can keep the internal Kinect skeleton and have your 3D artist modify the look and feel accordingly. The Arc control is available for both XAML and Unity. Converting a Kinect RGB, depth, or infrared frame into an image is, indeed, confusing. Bitmaps are handled by each programming platform. For example, XAML represents bitmaps using the WriteableBitmap class. Unity supports Texture2D. Vitruvius supports everything! We access the raw data of any Kinect frame and convert it to the corresponding image format. But people need more than just displaying an image. Using Vitruvius, you can accurately display the body on top of the Color, Depth, or Infrared frames, or even remove the background. // Get the closest body. // Calculate the height in meters. // Find when someone entered or left the scene. Natural User Interfaces are strongly relying on gestures. Gestures help users accomplish tasks easily using their hands or body. Vitruvius supports waving, swiping, and zooming. Vitruvius supports WPF, Windows Store and Unity3D. There is extensive MSDN-like documentation for every platform. Additionally, Vitruvius integrates amazingly well with your existing projects, too. No need to re-invent the wheel or change your coding style. Simply call any function you want from your existing code. It’s that simple! We are taking performance seriously. Vitruvius is designed to use as few resources as possible. It only consumes what’s really necessary. There are no duplicates or unnecessary copies. Everything is real-time. As long as your computer meets the standard Kinect SDK requirements, you can use Vitruvius at no risk. I guess that, since you are reading this blog post, you already know me of my Kinect tutorials, videos, and guides. I’m Vangos Pterneas, Microsoft Kinect Most Valuable Professional. I have been building commercial Kinect apps since 2012. Microsoft recognized my contributions to the open-source Kinect community and awarded me with the MVP title two years ago. My expertise includes C# and NUI app development. Vitruvius is crafted by a dedicated team of engineers and designers. Vitruvius will empower your business or research and let you develop the next cutting-edge Kinect apps. Supports WPF, Windows Store, and Unity3D. NASA (yeap, the space guys), XEROX, and Michigan State University are already including Vitruvius in their workflow. It took me over 6 months to create this product. However, as a Microsoft MVP, I do not want to charge you a ton of money to access the cool features of Vitruvius. Kinect development should be accessible to everyone. This is why I am offering a free version that will let you try some of the aforementioned features at no cost. Students, Professors and Researchers can benefit from the Academic version. The Academic version includes everything: avateering, angles, fitting room, bitmaps, gestures, HD Face. You can use it for research projects, thesis, and labs. Small businesses and independent developers can benefit from Vitruvius Premium. The Premium version also includes everything, plus access to free updates and commercial support. Think about it: using the Premium version, you can spend a tiny amount of money and impress your customers with stunning applications! Finally, bigger corporations can purchase Vitruvius Platinum and access all of the above benefits, plus dedicated telephone support. I am also offering an 1-on-1 consulting session (valued $280) that will help you get your business to the next level. That’s all for now. If you enjoyed my Kinect tutorials, Vitruvius is for you. Download Vitruvius, the most advanced Kinect framework ever. Really awesome project. I think It make easy work to new students and developers. Is it free to all? Thanks for this. really nice……. Hi Jeni. Thanks a lot for your comment. It really took us over 6 months to integrate all this functionality. The basic version (WPF and Windows Store) is free for everyone. If you need more advanced functionality, you can purchase the Academic or Premium version. These versions include Unity3D support, Avateering, and HD Face extensions. There are also 5 awesome 3D models that can be used in commercial projects. The Academic version can be used by a team – no need to buy a separate license for each member. The Premium version can be used by a company – no need to buy separate licenses. Can we get Front or back side of person standing in front of Kinect V2.? If possible please explain. Hi Imran. Do you want to check whether a person is facing the sensor? You can use the HD Face and determine whether the Face of the person is visible or not. Vitruvius has a Face class that gives all of the required data of an HD Face. I have detected multiple bodies (No.6) using your code but the bodies array holds the body in any order i.e first body arrived it put in bodies second to bodies and so on. Is this the correct behavior? Because i am facing some issue while performing the operation for the specific one. Hi Sanket. Thanks for your comment. Kinect has no specific order for the bodies. It just gives you an array of 6 Body objects. The Closest() method can be applied to any collection of Body objects. Is it possible to develop Mirror hum to change clothes virtually ? How much is it? Hi Renivaldo. The Unity samples of Vitruvius include a fitting-room-like demo. It showcases how you can let the users put-on clothes, like looking at a virtual mirror. You could build your application on top of that demo. Check the official playlist on YouTube. Any chance of getting ready to build examples like height and motion tracking? I’m Trung Tinh, I come from Vietnam and i’m a student, i really like your project, it’s interesting. now i’m developing my project with unity and kinect v2, but i dont have enough money for Academic. i want to design a system rehabilitation for older people, please help me, i just need sample code about Unity in Academic. You can share me about sample code of Unity. I’m so grateful you and thank you so much. Hi Trung Tinh. Thank you for your comment. We are bringing some Unity functionality to our free version, so stay tuned! Thanks for such and Awesome Library. The value we get in angle is always less then 180 while the negative values too gets unsigned. 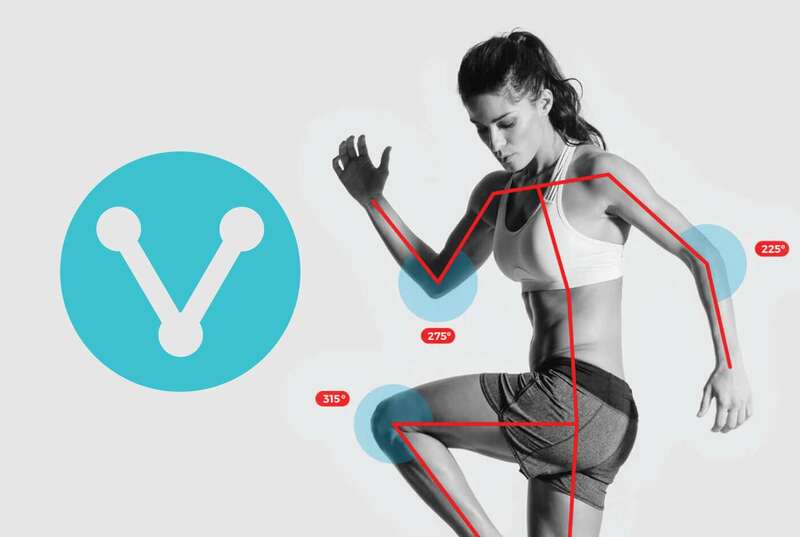 In your home page illustration(guy running), the angle of elbow is shown as 325. Please guide me as how to get full 360 degree for the same. Hi, Vangos. When I use your VITRUVIUS there have some questions in the example. In the XAML code, there are two codes and . I don’t understand the role of the two statements in the program and how to add it to my XAML program. Hello, Huang. These are custom user controls by Vitruvius. These user controls provide some XAML functionality for you. To learn more about XAML User Controls, check this great article. Thanks for your answer. I think I can solve this problem with your help. can i track the positions of the joints while motion of the body using kinect and Vitruvius or it is just the height of the body , and if so , is it included in the free version or just the academic one . Thank you very much for your help . Hello. You can track the positions of the joints using either the Free or the Academic version. The Academic version includes support for Unity3D, video recording, and avateering.